These are NOT the types of events we or any party planning company gets involved with! 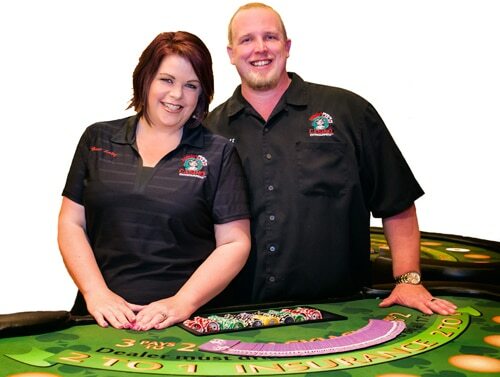 What we actually do is to provide casino entertainment (tables, dealers, and cards/chips/accessories) at a fundraising event where you are charging your guests to attend. Guests do NOT play with real money at the tables, nor can they give our staff members any real money at the gaming tables or elsewhere. Any and all money raised is 100% yours (or your organization’s) to keep. How much you earn through the fundraiser has no impact on our contract with you.